Over the past decade or so, memes have become a deep-rooted element of the digital world, particularly on social media. But you’ll be surprised to learn that it was a term coined by biologist Richard Dawkins back in 1976. It was meant to describe cultural trends that become rapidly popular. Going by his definition the idea of democracy would be classified as a meme. Today, humorous images, videos, or any textual content are what pass for memes. Typically, they’re copied content (with minor variations) that have spread on the internet like wildfire. But what’s this got to do with marketing? A lot. Memes are probably the most viral form of content there is. You can create a buzz about your brand by being the subject of one of these memes. You can even leverage influencers, adept at the art of meme-making to create an ad for you. 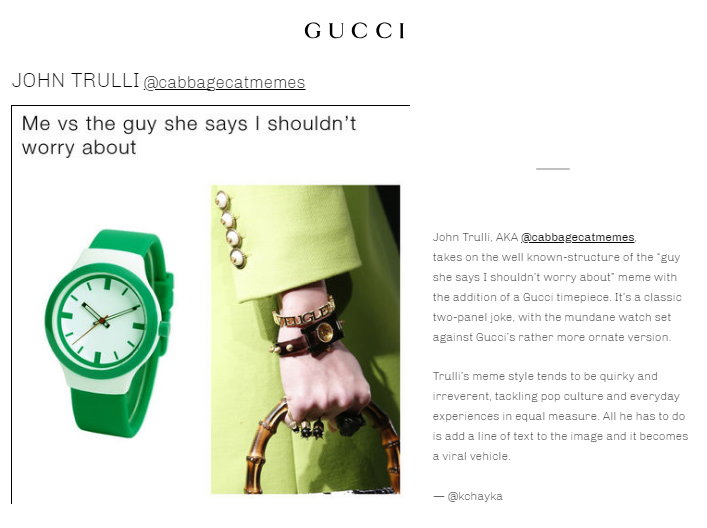 Look no further Gucci’s launch for their Le Marché des Merveilles collection of watches. They partnered with meme makers like Jessica (@beigecardigan) and John (@cabbagecatmemes) to create memes to promote their new collection. And they rose to the occasion. Looks like a daily dose of humor might benefit your brand. Pretty neat right? 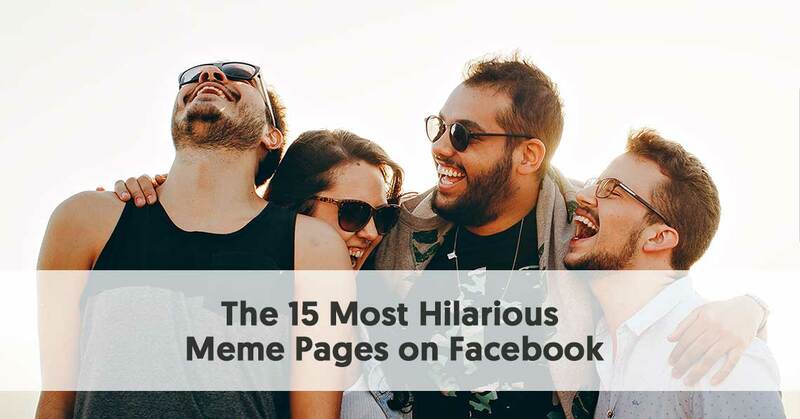 That’s why we decided to build a list of the 15 most hilarious Facebook meme pages you can consider collaborating with. 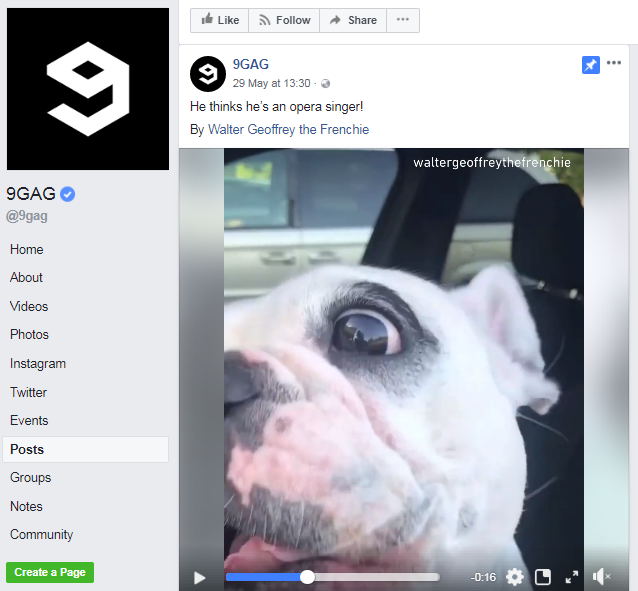 9GAG is easily the most popular meme page on Facebook with its 39 million fans. It is an omnipresent entity in the land of memes. They have a dedicated website, mobile application, and page on every major social media channel. 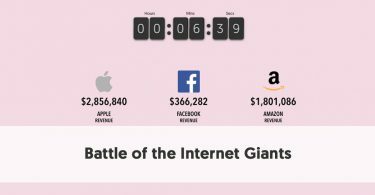 The main driving force behind this behemoth is their ever-expanding user base that contributes content to the site. The Facebook page brings to its subscribers the best posts that are trending on their app and website. 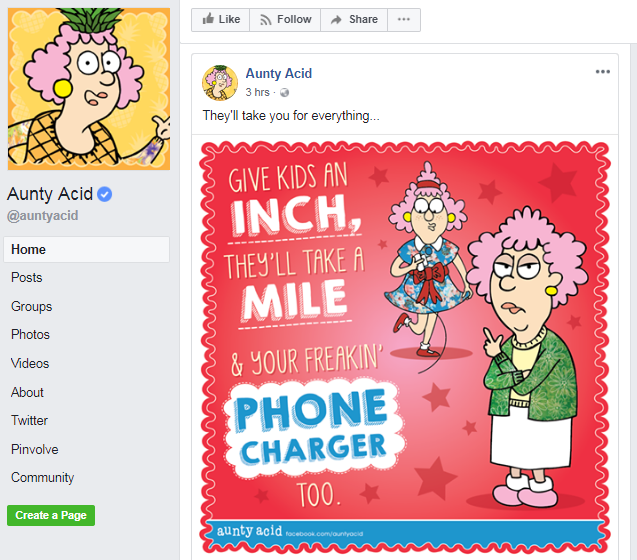 Aunty Acid, the crazy pink-haired lady who rules the world of memes, has close to 11.6 million followers on Facebook. The page started almost a decade ago in 2010. Her claim to fame is her forward-thinking perspective and hilarious take on life presented with an acidic touch. The community is all about sharing uplifting thoughts and giving everyone a sense of belongingness. From viral videos and memes to life-advice, you’ll find every sort of content on this page. Not affiliated to with the NBA, this page is the go-to page for anyone seeking basketball related humor. 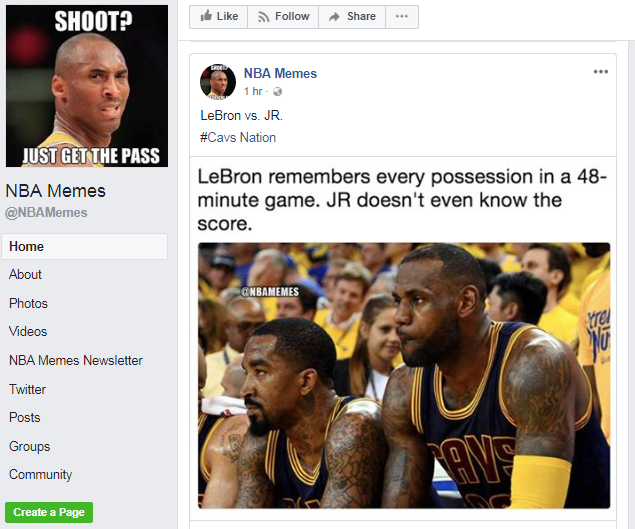 To be more specific, the NBA Memes page on Facebook is the home to jokes pertaining to the ultimate basketball league in the USA. Their content features memes around the league’s teams, fans, and events. But most of all they center around the players. You can share a laugh with other basketball enthusiasts about the NBA’s most epic highlights, bloopers, and latest trades. The page is run by four friends who aren’t afraid to express their very candid opinions on anything. The Tasteless Gentlemen, as they like to call themselves, are the self-proclaimed voice of men all over the world. Their memes and jokes are the embodiment of these very principles with a rather sarcastic and holier than thou voice. They crack a joke at everything’s expense, and rarely have any limits and should always be taken with a pinch of salt. This is probably how they’ve earned 3.4 million fans on the social network. As the name suggests, this page is all about taking pieces of classical art and then turning them into memes. 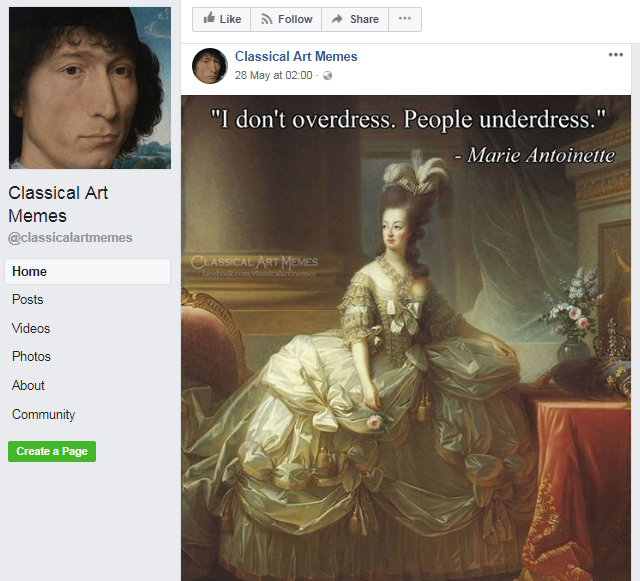 The Classical Art Memes page sports close to 5 million followers on Facebook. They make for some of the most hilarious memes there are. The artist has gone to great lengths to ensure that no piece of classical art is spared. He’s made memes out of works from the most obscure works to the most famous lie the Mona Lisa and Starry Night. The likes of Picasso and Van Gogh are probably rolling in their graves, laughing at this artist’s humorous take on their works. Since their launch in 2012, the Memes page on Facebook has racked up approximately 13 million followers. They hilarious page has gone so far as to call itself the world’s official source for memes. They share memes related to daily life and don’t really have a specific niche. It has a little something for everyone. You can even sign up on their website and expect a daily email containing the funniest memes that are trending. 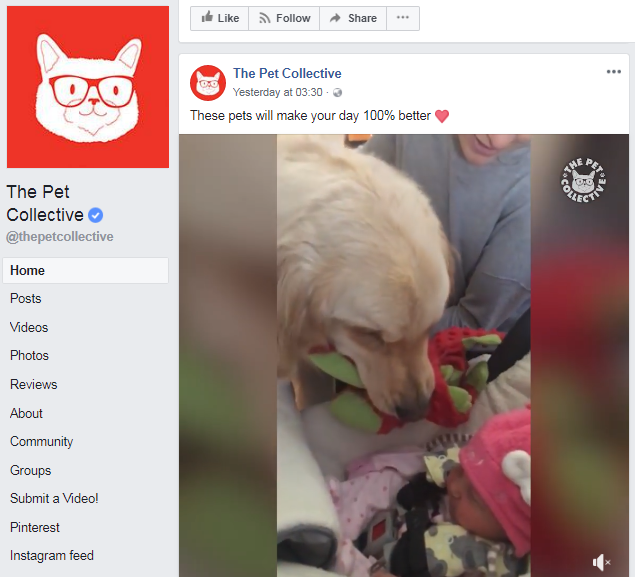 There is but one goal purpose of Viral Thread’s website and Facebook page - to show it’s viewers the best of the internet. This includes memes, funny videos, shocking stories, and inspirational content. The 22 million fan base on Facebook speaks to the content quality and popularity of the page. The “Viral” part of their name is pretty self-explanatory. The “Thread,” however, is derived from when people used to forward popular stories to each other via email. 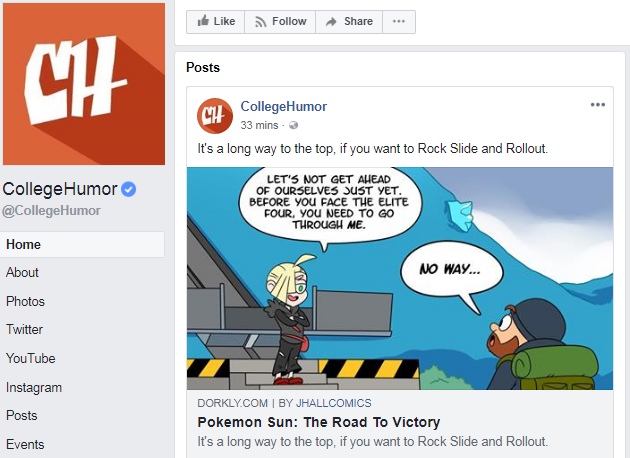 College Humor is the official Facebook page of CollegeHumor Media. The company itself was founded by two high school friends with the intention of delivering all sorts of comedic content to its audience. And that’s how their Facebook page came about. They have approximately 8.5 millions fans on Facebook alone. The content there, ranges from curious facts, uncomfortable situations, roasts, and even life tips (with a humorous spin). They’re best known for the hilarious sketches they frequently create and share. This list would be incomplete if we didn’t mention Sarcasm’s Facebook page. They boast a very strong fanbase with over 40 million fans on the platform. The page was originally created to simply entertain and share some laughs with users. But with their popularity skyrocketing, they went on to create an accompanying website. 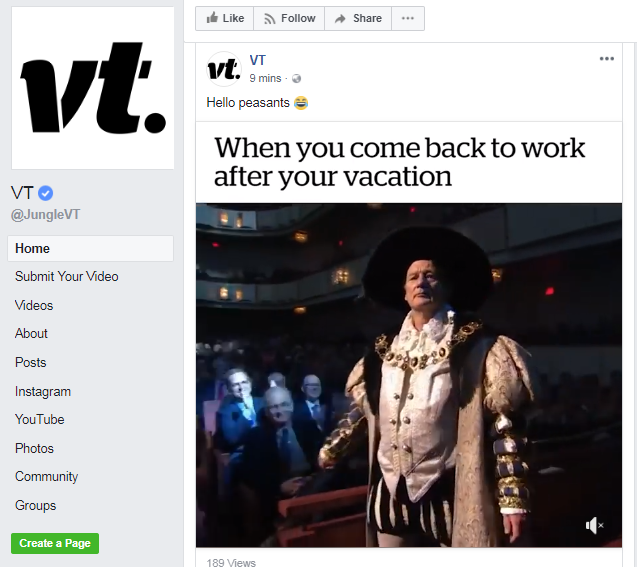 Other than memes, the site shares viral content and clickbait pieces to link back to their Facebook page. 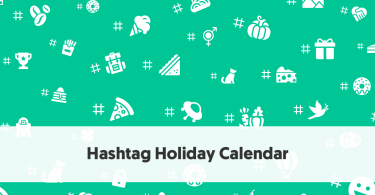 They share everything from hilarious memes to adorable moments involving the cutest pets. They’re also known for their 24/7 YouTube live feed featuring litters of puppies, kittens, and other adorable furry friends. 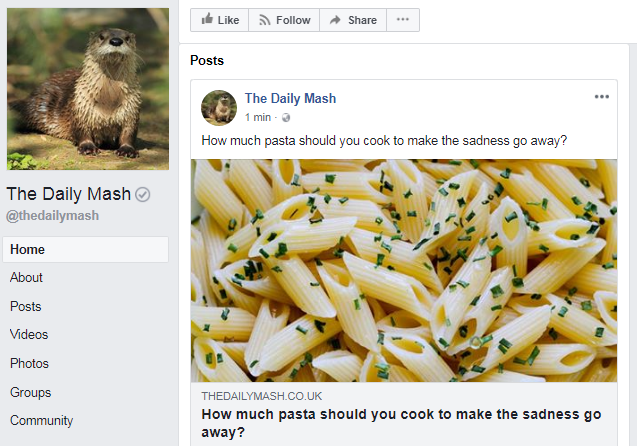 The Daily Mash is a satirical news website that publishes fake or spoof articles. And they make it abundantly clear that you should by no means ever consider them to be actual. While they create most of their content in-house, ever so often they share pieces by guest writers too. On their Facebook page, they have 800,000 fans. 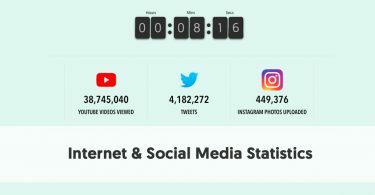 Despite not having millions of followers like the others on this list, it receives a mention owing to their content quality and variety. 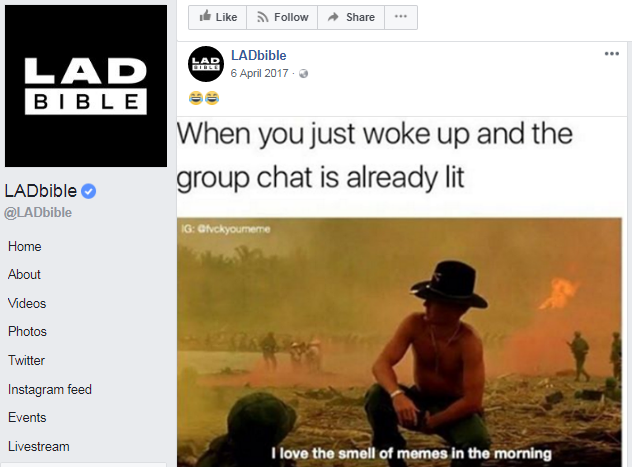 The LADbible Group, founded in 2012, is at the forefront of reporting engaging and entertaining content. They post everything from news to memes, real-life stories to original features that detail our culture and society. 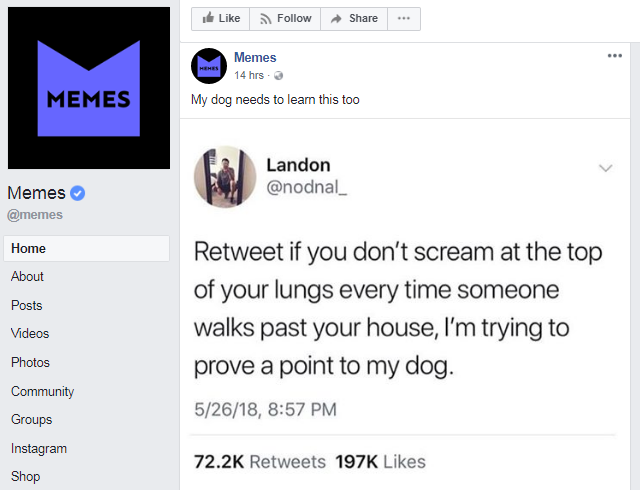 Their Facebook page has roughly 32 million fans which makes them another major player in the meme space. They keep their audience entertained by sharing a plethora of fun posts, memes, their original works, and viral videos. I would be remiss if I failed to mention Mr. Sulu from the acclaimed Star Trek films and television series. 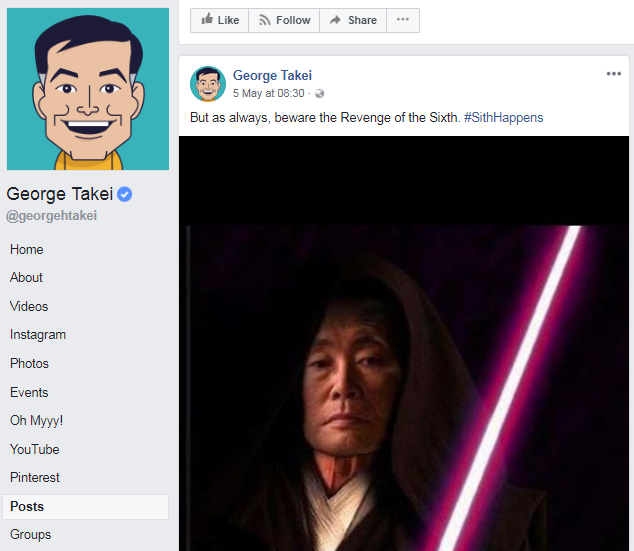 George Takei, the beloved actor who portrayed the character is easily one of the funniest personalities on Facebook. He’s a regular funny guy and avid meme maker. In addition to a generous helping off of memes and funny videos, George shares interesting articles from around the web. 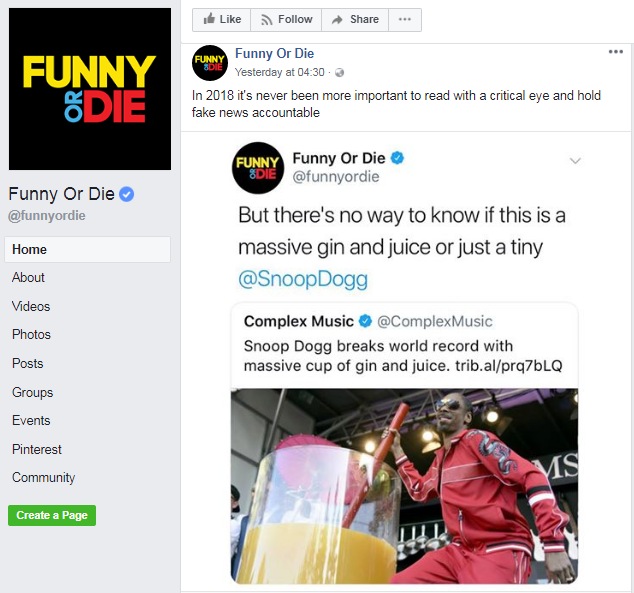 Funny or Die with its 15 million followers is another meme powerhouse on Facebook. In addition to user-generated content, they publish their own exclusively created memes too. Their site is a hub where celebrities and comedians like Zach Galifianakis share their comedic content. The fact that Will Ferrell is one of their founding members should suffice as a humor certification for the site. 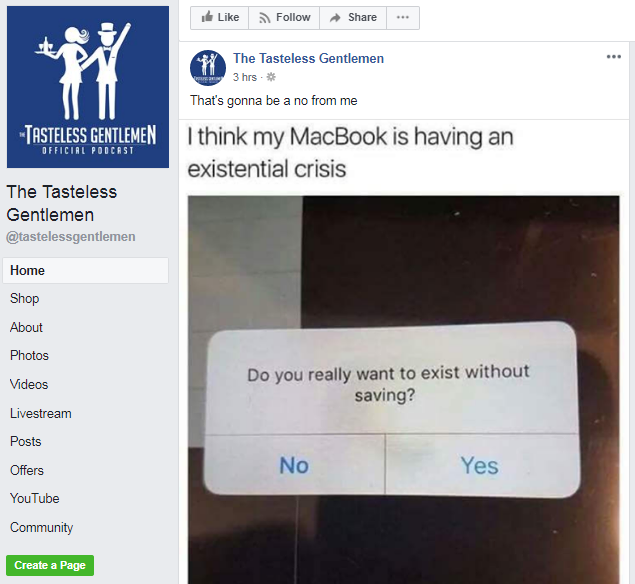 Much like the site, the Facebook page is all about churning out a healthy mix of user-generated and self-generated memes. If dark humor is your thing, then there’s no better page than Cyanide & Happiness for you. It all started as a series of webcomics, back in 2004. The page is known for its controversial content as it takes a satirical approach to all things in life. 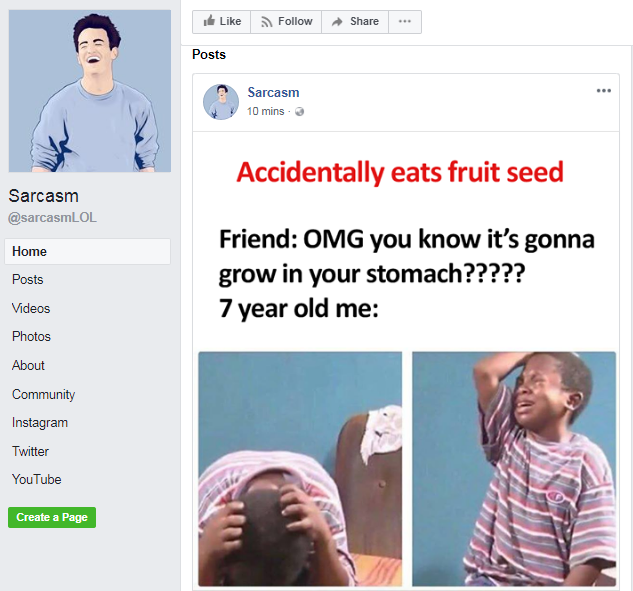 While their kind of humor doesn’t sit well with some people, the comics have close to 12 million followers on Facebook. 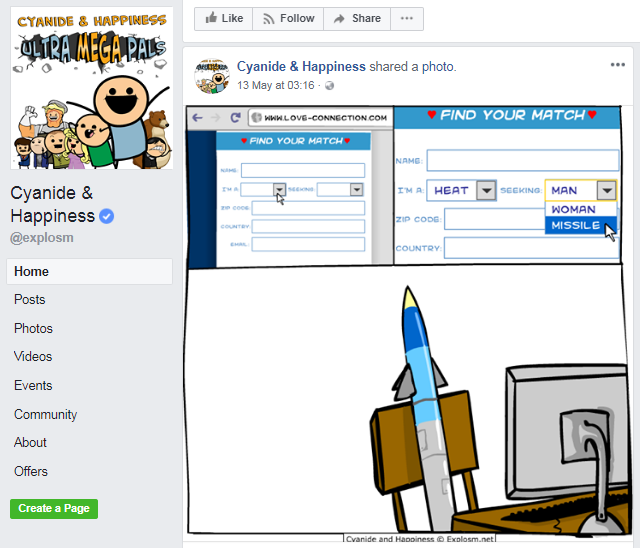 You can look at their page for your daily dose of their comics as well as funny animated videos. Meme marketing is the kind of out-of-the-box thinking that can set the marketing landscape ablaze. And marketers are starting to see that. Brand sponsored ads elicit nothing more than an eye-roll from millennials. But with carefully crafted memes by experts like those above, you can create a strong buzz for your brand. If you know of any other rip-roaringly funny meme pages on Facebook, let us know through your comments. We’d love to check them out.